Posted November 1, 2016 by William Martin & filed under Exclusives. 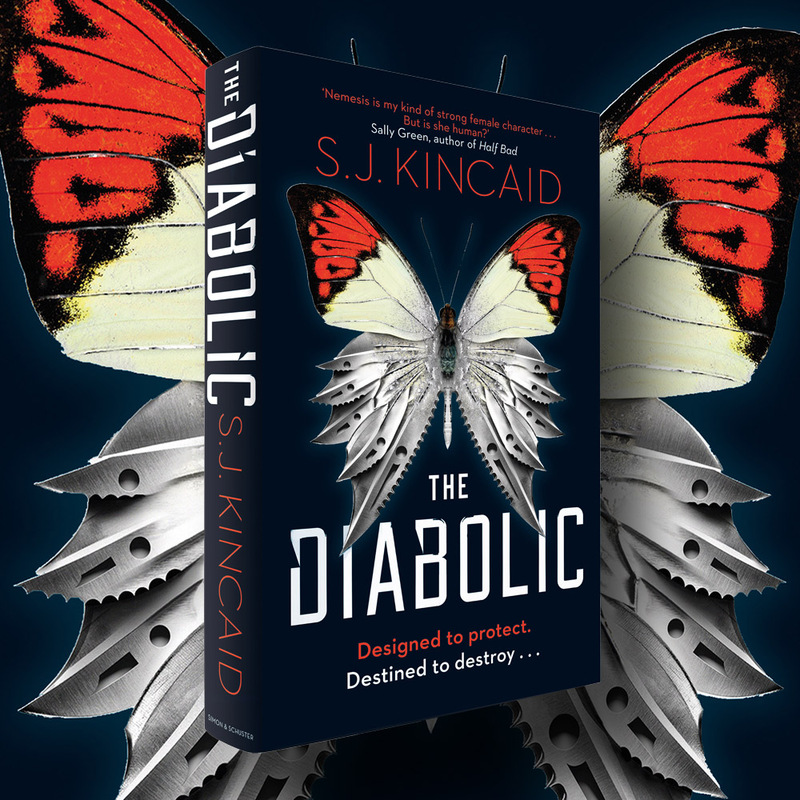 Described by The Bookseller as ‘Game of Thrones meets The Hunger Games’, S. J. Kincaid’s epic new YA novel, The Diabolic, is published today in TWO striking covers. Buy the Kindle edition on Amazon here. Can you tell us a bit about the concept of The Diabolic? “In short, The Diabolic is Terminator meets House of Cards in space. It’s set in the far distant future where humanity spans the galaxy. “Nemesis is a genetically enhanced person created for one purpose: protect an imperial heiress named Sidonia at all costs. When Sidonia is summoned to the Emperor’s court to face punishment for her father’s treason, Nemesis disguises herself as Sidonia and goes in her place. 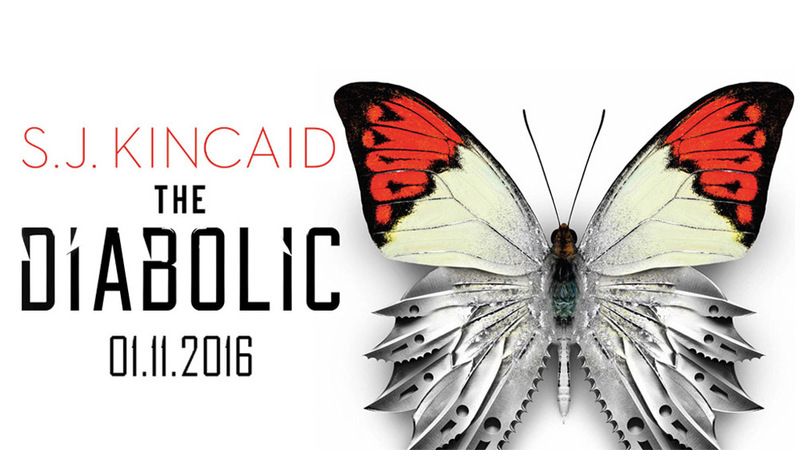 How does The Diabolic differ to your previous work and what inspired you to tell this story? “It’s older and darker than the Insignia trilogy, but I really wanted to write a YA take on I, Claudius where someone must survive a murderous imperial family via a long-term deception. How did you come up with the concept of a Diabolic? How would you describe the relationship between Nemesis and Sidonia? “One model I like to use is Scarlett O’Hara and Melanie Wilkes from Gone with the Wind. If a movie version of The Diabolic was made, who would be your dream casting for Nemesis and Sidonia? “Hmm. Off the top of my head, I could see Zoë Kravitz as Sidonia, and it’s tricky to say with Nemesis because her appearance undergoes some drastic changes in the book. Nemesis explores the humanity inside her – do you think humanity and technology are increasingly interwoven for modern teenagers? “Of course. The millennials are basically the first ‘internet natives’, which effectively means everyone whose childhood was influenced by the internet had this new, foreign force in their lives, shaping their social norms which none of the earlier generations have had. “My Insignia series was entirely founded on the idea of a future technology where neural processors – computers – are implanted in human brains. I think technology will only become more integral to teenage life over time. Are you more of technology fan or a technophobe yourself? Are there plans for more books in this series? What else have you got coming up next? Which YA novels have you enjoyed reading most lately? It sounds like you’re quite a traveller, where abouts are you based right now? Where do you feel most productive writing?